If we as a planet are going to avoid passing over the two-degree threshold to runaway climate change, we are going to have to start rationing greenhouse gas emissions. Efficiency gains in transportation will inevitably need to be part of that project. Put another way, emissions per person per kilometre will have to go down, which means a dramatic expansion in public transit infrastructure. Unfortunately, as is so often the case in the unchanging climate of public sector cost-cutting, the chief obstacle is the issue of funding. But noble attempts to solve this quandary abound. Here in the Metro Vancouver region, the Mayors’ Council on Regional Transportation, one of the governing bodies of TransLink, has written BC Transportation Minister Mary Polak with a series of proposals. Of the five options put forward, the one generating the most news coverage is the suggestion of a 0.5 percent regional sales tax. I do not usually like sales taxes, as they are notoriously regressive, but considering the relatively small size of the tax, the estimated yield of $250 million per year, and the undeniable progressiveness of what it would go to fund, I have to admit the idea is tempting. Its major problem, or at least limitation, is the fact that due to the urgency of the fight against climate change, the best policies are those which provide not just carrots, but also sticks. We cannot afford simply to make public transit (not to mention cycling and walking) easier and then idly contemplate our achievements. Driving must be made more costly as well. A regional sales tax fails to consider this angle, as does one of the other five mayors’ proposals, leveraging land value along transit corridors, netting $30 million annually. The other three suggestions, however, may be onto something. These include a vehicle registration fee worth $50 million per year and some kind of long-term road pricing scheme of undetermined (but potentially high) value. In principle, these are much better ideas, for the carrot-and-stick reasons outlined above, but they are still not perfect. While they would impose costs on drivers, these costs would not vary by fuel efficiency or distance, or if they did, would do so rather imprecisely. No, the best of the five proposals put forward by the Mayors’ Council is a regional $5-per-tonne carbon tax, expected to generate an annual $90 million in revenue. Such a tax would provide funding for public transit while at the same time (in concert with our provincial carbon tax) discouraging greenhouse gas emissions. Of course, even this idea comes with some downsides. Carbon taxes on their own, like sales taxes, are regressive, which is why, as I have written before, all the best carbon tax proposals offer to return a significant portion of the revenue generated to low- and middle-income households. The mayors’ letter makes no mention of such a corrective mechanism, perhaps because it would diminish the amount of revenue available for transit. But while I would prefer a carbon tax that is as progressively designed as possible, part of me is willing to look past the mayors’ apparent oversight. After all, public transit — the project which the carbon tax is meant to fund — tends to benefit those with low incomes. I do not mean to claim that all transit users are poor or that all car owners are rich; the real world is never so simple. But one of the impacts of a carbon tax of the kind suggested by the Mayors’ Council would be a shift in wealth, on average, from the slightly-more-well-off to the slightly-less-well-off. So I hope that Mary Polak will respond to the mayors’ letter with an open mind (or more realistically, that her successor will do so after the May election). And I hope that TransLink and the various municipal governments of Metro Vancouver take a close look at the idea of a regional carbon tax. Perhaps it can be used in combination with some of the other options put forward. Perhaps decision makers will agree to raise the tax beyond $5 per tonne or include some kind of additional compensation for people with low incomes. In any case, increased funding to public transit is urgently important — and so is a reduction in fares. 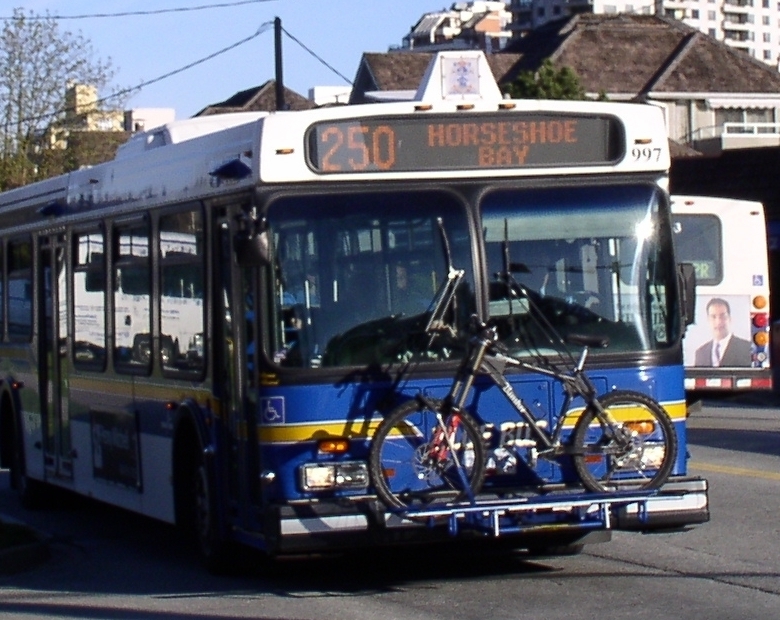 This entry was posted in BC Politics, Environment, Municipal Politics and tagged carbon tax, climate change, global warming, Mary Polak, Mayors' Council, Metro Vancouver, public transportation, sales tax, taxes, transit, TransLink by David Taub Bancroft. Bookmark the permalink. “and so is a reduction in fares” – yes, yes, yes! Are you now censor the comments? 😀 I understand. A spam robot works really hard on my blog and write(?) 1000 comments a week. I have not censored a real comment yet, but I do have to approve them before they appear (although repeat commenters usually do not require approval, so I’m not sure what happened). As you say, spam is everywhere. We must be vigilant. Reduced fares indeed! But it must happen in conjunction with an increase to other forms of funding, otherwise the quality of transit suffers.